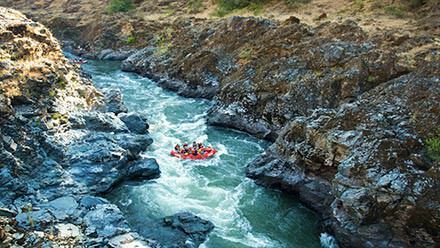 Oregon's Rogue River serves up a very well-rounded 3 or 4 day adventure. You'll stay the night before your river trip in (or near) Morrison's Lodge in Merlin, Oregon where there will be a brief orientation meeting. Enjoy the spacious surroundings and customer service at Morrison's and in the morning head for the river! Spend the first day getting accustomed to the river, the rapids, and the guides. Enjoy your lunches along the river, prepared by your guides. In the evening, you'll bring your personal duffel up to the lodge where you'll be staying that night. Enjoy a hot shower and relax, enjoying boundless wildlife and flora in the Rogue River gorge. Travel from your home to Merlin, Oregon and meet ROW's Team Leader at Morrison's Lodge at 5:45 PM Pacific Time (PT) for a one-hour orientation meeting to answer last-minute questions. You'll also receive your waterproof gear bags. Dinner on your own. The team leader will meet you at Morrison's Lodge in Merlin by 8:15 am. Be sure to have your duffel bags ready according to the specified size listed on the packing list. Your personal duffel bag will fit into the water-resistant dry bag while on the river. You will have access to your personal duffel each evening of the trip. 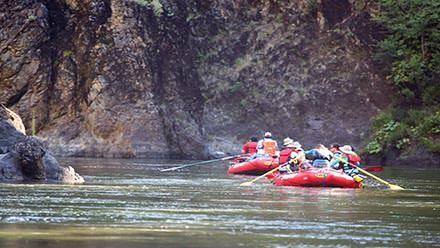 A safety orientation will prepare you for a day of Rogue River rafting in Oregon while your gear is loaded onto the boats. Sometime before lunch, the gently flowing Rogue River breaks its slumber at a rapid named Grave Creek. This marks the Congressionally- designated Wild & Scenic section. Guests take a lunch break and walk around a Class V rapid named Rainey Falls. Afternoon hours are spent splashing through several more Class II and Class III rapids. 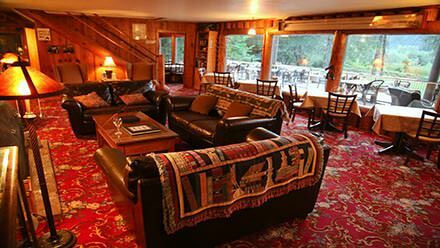 Black Bar Lodge awaits your arrival with hors d'oeuvres, complimentary regional wine, beer and sodas. Play and explore around the lodge until you're called in for a family style dinner, served in the cozy lodge dining room. Enjoy the evening as stars begin to fill the sky. Bring a flashlight, as it gets quite dark when generators are shut down for the evening. Freshly brewed coffee greets your senses at about 7 am, with breakfast following a short time thereafter. Personal gear is transported back down to the river's edge where boats are prepared for another day of Rogue River rafting in Oregon. Enjoy playful river rapids throughout the day, interspersed with a hike or two to historic pioneer cabins. Marial Lodge is home for our second night. Enjoy a hike that evening to a spectacular waterfall in the dense Oregon forest. Enjoy your last morning listening to the sounds of the forest mingling with the river nearby. You'll savor a hearty breakfast, and when ready at the boats, you'll again take to the river. Today is when you'll encounter the most spectacular rapids: Mule Creek Canyon, Blossom Bar, and Devils Staircase are all Class IV rapids. More rapids lengthen out the day with a calmer side. *Expect to arrive at Foster Bar take-out around 3:00 pm where vans are ready to take you back to Morrison's Lodge. You should arrive at your vehicle around 6:00 pm. *The fourth day is made possible with a third night stay in the Paradise Lodge, located between Marial Lodge and the Foster Bar Take-out location. 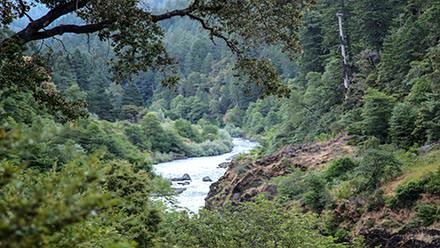 Spend some extra time soaking in the lush forest canopy and rich wildlife in this beautiful part of the Rogue River gorge. 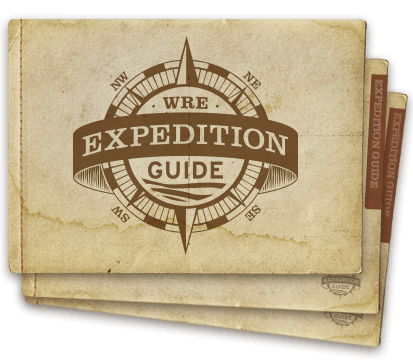 There are several travel options to consider in planning your Oregon Rogue River rafting vacation. Simply give us a call and we'll discuss your options and help arrange everything for you. We will meet you at Morrison's Lodge near Merlin, Oregon at 5:45 pm the evening prior to your departure date for a one-hour orientation meeting to answer last minute questions and give you your waterproof bags to pack. This is an important meeting, so please be on time. In the morning, meet at 8:15 am at Morrison's. Please have breakfast on your own before we meet. Be sure to have your duffle bags ready according to the specified size listed on the packing list. You will have access to your personal duffle each evening of the trip. 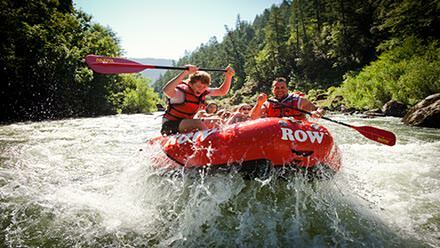 A safety orientation will prepare you for a day of Rogue River rafting in Oregon, while your gear is loaded onto the boats. Most of our guests will stay at Morrison's Lodge in Merlin as it is most convenient for your pre-trip orientation meeting and departure. Please find contact information for Morrison's and other options below. After your river trip, you will be shuttled by van from the Rogue River back to Merlin, Oregon. Before traveling home, we recommend lodging nearby. Many guests will stay the night in Merlin again or will travel on to a nearby location such as Grant's Pass or Medford.